In 1990 the artistic association "Strontium-90" was founded in Kiev, Ukraine by a group of independent artists concerned with social and ecological issues. Three 'tralfrealist' artists - Valeriy Goleiko, Tatyana Chebrova, and Alexey Breus - form the core of the association and are its leaders. 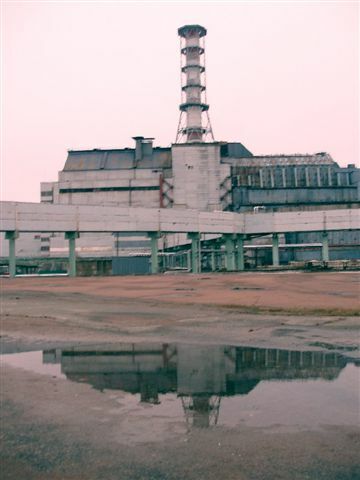 Strontium-90's first exhibit opened in Kiev on 26 April 1991- the fifth anniversary of the Chernobyl disaster. Since then, "Strontium-90" has organized other exhibits and events such as "Feedback," "MEGHASANDESHAM" (Message Through the Clouds), "Universe: Open Contact," "Sky. Ocean. Land," "Pilgrims of the Universe," and many others. The group has also conducted a number of actions within the framework of the project "Chernobyl. Between the Past and the Future" devoted to the 20th anniversary of nuclear disaster. In accordance with their manifest and by means of their creative spirit, member artists of "Strontium-90" challenge us to understand and appreciate the world around us not only through our senses and minds, but to employ our hearts above all. Their plea is especially relevant in the wake of the Chernobyl Disaster, which compels us to alter our conscience by confronting society's penchant for self-destruction. The creative work of the "Strontium-90" artists conveys our bond with the vast essence of our Ego, and mirrors images and events from various planes of existence. Valeriy (Ven) GOLEIKO is an independent artist who was born in Kiev, Ukraine in 1956 and who studied painting at a number of Kiev-based art studios. Since 1982 he has been developing the concept of "C.D. Tralfrealism" in painting, which Valeriy stresses captures the absolute reality of fantasy through the colorful magic of the universe. Valeriy is a founding member of the international movement of artists who express their creativity through the traditions of Tralfrealism. 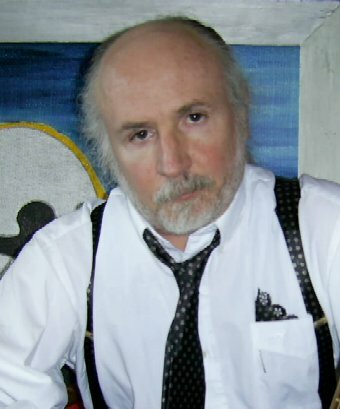 He is also a manager of and participant in the work of the artistic association "Strontium-90" -a group of independent artists concerned with social and ecological issues." Since the end of the 1990s, Valeriy has been working together with artist Tatyana Chebrova to co-author the art duet "VenTa." In his work Valeriy typically depicts things that are on the other side of reality, and he invites us to partake in an exciting journey beyond our imaginations. Valeriy inhabits a creative world of modeled space-time in which new artifacts of existence arise. Valeriy Goleiko's work is found on exhibit in museums and art centers as well as in corporate and private collection within Ukraine and abroad. Tatyana (Ta) CHEBROVA is an independent artist born in Sevastopol, Ukraine, a graduate of Taras Shevchenko National University in Kiev, and has studied painting at various art studios in Sevastopol and Kiev. Tatyana is a co-founder of the international movement of artists who express their creativity through the traditions of Tralfrealism, a member of the artistic association "Strontium-90" - a group of independent artists concerned with social and ecological issues, and a member of the art duet "VenTa." Her motto is: "Tralfrealism is love made visible." Specialists in the field of color psychology have commented on Tatyana's paintings, noting the positive energy they exude and how this helps to stimulate the observer's immune system. The harmony on the canvas is also the harmony in the soul of the one who views a painting, while health may be understood as living in harmony with oneself: one's thoughts, feelings� with every cell of one's body. Tatyana Chebrova participates in many art exhibits in Ukraine and abroad. 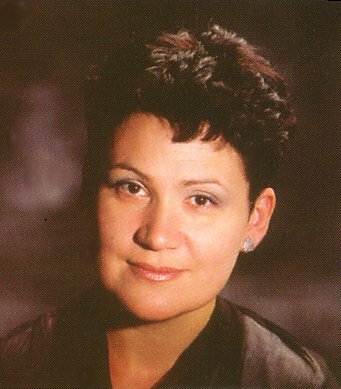 Her works are on display at the National Chernobyl Museum in Kiev, the National Museum of Ukrainian History, the "Ukrainian House" National Exhibition Center, the National Association of Pharmacists, the National Union of Journalists, the Panstwowe Muzeum na Majdanku in Lublin, Poland, and comprises many corporate and private collections in Ukraine and abroad. Alexey (Les) BREUS is an independent artist who was born in 1959 in the Kuban region, Russia. In 1974 Alexey graduated from Kanevska School of Fine Arts in Chelbass, Russia. In 1982 he completed his studies at the Bauman National University of Technology in Moscow, and in 1990 graduated from the Mass Media Department at Taras Shevchenko National University in Kiev, Ukraine. Alexey is a member of the artistic association "Strontium-90" - a group of independent artists concerned with social and ecological issues. 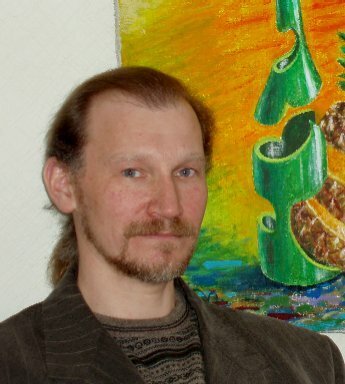 Alexey expresses his creativity in the fine arts by following the tradition of Tralfrealism. He emphasizes that the primary animating factor behind his painting is the idea that all mental images represent a reality worthy of being interpreted creatively while represented materially. This understanding of Tralfrealism reveals Alexey's affinity for the "translucent realism" of Danyil Andreyev in which "other," "non-sensory" worlds shine through into the more immediate world of the here-and-now. Alexey's works are held in private collections in Ukraine, Russia, the United States, Germany, Belgium and in other countries. His first set of graphic compositions entitled "The Others" was created several years before the Chernobyl Disaster when Alexey was living in the town of Prypiat where Chernobyl NPP workers were housed. Alexey managed to remove these works from the deserted town only three months after its evacuation following the accident. To honor his participation in the post-accident mitigation efforts within the destroyed Chernobyl unit during the first hours following the accident on 26 April 1986, Alexey Breus was decorated with a State Commendation: a medal "For Honorable Service."